A Trump Organization company has applied for four new trademarks in the Asian gambling hub of Macau, including one for casinos, public records show. The new applications highlight the ethical complexity of maintaining the family branding empire while Donald Trump serves as president, and are likely to stoke speculation about the organization’s future business intentions in Macau, where casino licenses held by other companies come up for renewal beginning in 2020. The applications for the Trump brand were made in June by a Delaware-registered company called DTTM Operations LLC. They cover gambling and casino services, as well as real estate, construction and restaurant and hotel services. The applications were first reported by the South China Morning Post. The new applications are identical to four marks applied for in 2006, and granted, but lapsed earlier this year. It was not clear from public records why, though under Macau law trademarks can be forfeited for non-use. There are currently no Trump-branded businesses in Macau. Trump’s trademarks have been a source of concern to ethics lawyers and Democratic officials, who fear they can give foreign governments the opportunity to try to influence the White House. China has approved dozens of Trump trademarks since the president took office. 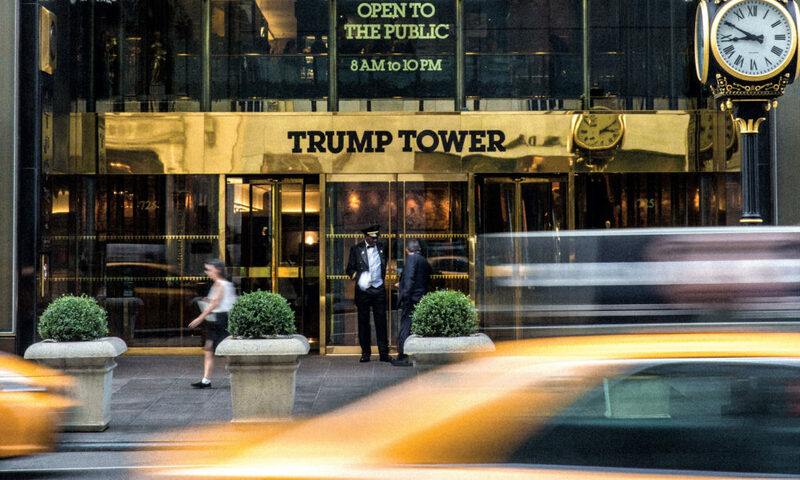 Three U.S. lawsuits against the president contend that the Chinese marks constitute gifts from a foreign state and stand in violation of the emoluments clause of the U.S. Constitution. Trump and his lawyers reject that argument and contend that trademarks are a crucial defense against squatters seeking to exploit his name. Beijing says it has been fair and impartial in its handling of trademarks for the president and his daughter Ivanka Trump. Macau’s six casino operators, including Las Vegas Sands, Wynn Resorts and MGM Resorts, face renewals for their licenses starting in 2020. The government of the former Portuguese colony, now ruled by China, has released few details on the renewal process, which will be the first since it ended a decades-long casino monopoly and opened bidding to foreign companies in 2001. Authorities are expected to grant renewals to all six operators, given the big investments they’ve poured into the city, but there has been speculation that they could issue one additional license to a new investor. Macau is the world’s largest gambling market, with earnings dwarfing the Las Vegas Strip’s. It’s the only place in greater China where casinos are legal. Trump finally prevailed in that case last year after his opponent, a local company that had filed for a “Trump” mark for food and beverage services, let his trademark expire. Trump has pledged to conduct no new foreign deals while in office and handed control of his business to his sons, though he retains ownership. He also has veered away from the casino business. Hard Rock International bought up the last vestiges of his failed Atlantic City gambling empire this year, paying just $50 million for the shuttered Trump Taj Mahal casino, which cost more than $1 billion to build. Back in 2001, Donald Trump was part of a consortium of billionaire investors — including two men subsequently convicted of bribery and money laundering in unrelated cases — that bid unsuccessfully for a casino license in Macau, the Wall Street Journal reported last year. Next PostNext Is croupier on your side or not?